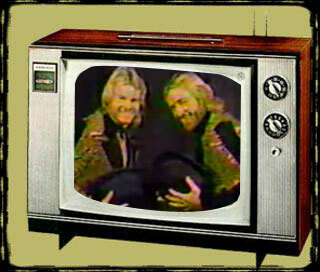 It Came from YouTube Classic: The Birth of the Fabulous Ones - WrestleCrap - The Very Worst of Pro Wrestling! 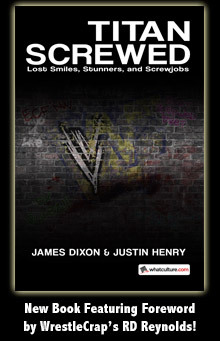 For years, me and RD have kicked around the idea of me loading my wrestling ring up and heading up northeast to put on the long-rumored WrestleCrap indy show/convention. If it ever happens, I’m convinced we will need to book some celebs to really make the evening special. In my opinion, my money should be dropped out on a Fabulous Ones reunion. However, I don’t want to see Stan Lane and Steve Keirn wrestle. I just want them to stand next to a boom box tuned into an oldies station and point at themselves and random people in the audience for three hours…all while smiling with the happiest of happy smiles. 3 Responses to "It Came from YouTube Classic: The Birth of the Fabulous Ones"
Or what about the horrible Z-Man & Johnny Gunn WCW clothes shopping videos. Priceless.